Digital marketing is a way of using digital media to market products and services online. Here digital media includes text, graphics, images, and videos. If these questions are popping up in your head this article is all that you need!!! All the business and companies are moving online since 60% of the Indian population have access to the internet. It is easier for brands to reach the audience through media, email, and SMS. A digital marketer will plan online marketing campaigns to promote a brand or a business and hence, there will be many vacancies for the jobs related to digital marketing. 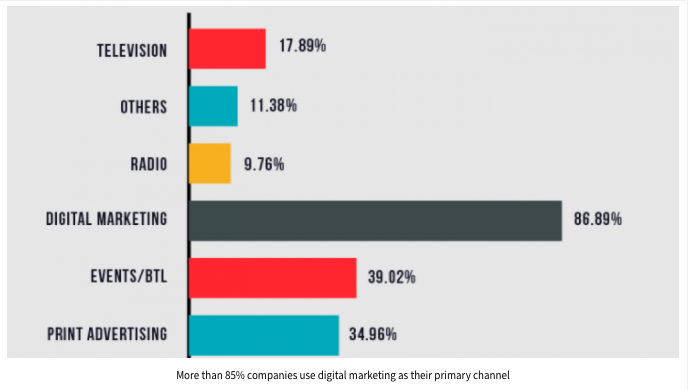 The need for digital marketers is growing in the job market. Digital marketing has become the new way to market! The starting package of salary for both a digital marketing manager and digital marketing executive is about 3-4 lakhs per annum. 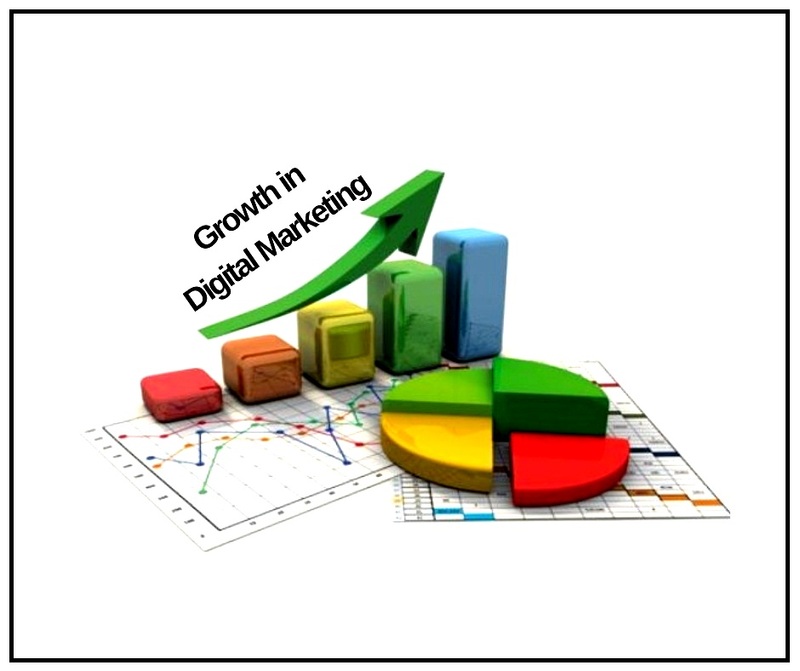 Based on the skills and experience, a digital marketer can earn up to 2.5 lakhs per month. 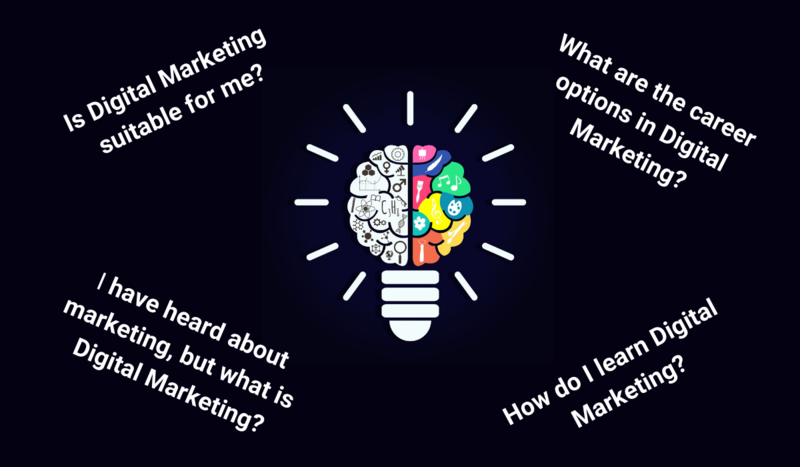 Anyone with an interest can learn Digital Marketing. From a 10th class student, housewife, college student to a free-lancer, entrepreneurs, sole proprietors, business people; can undergo a digital marketing course. Also, for people who wish to establish a start-up, switch their jobs or start something new post-retirement, taking up a digital marketing course can open-up new and in-demand opportunities. Lead Generation: This involves identifying and developing potential customers for the businesses’ products and services. Content Writing: A content writer has expertise in proving relevant content for a website. Each website targets a different audience and the content must suit the needs of the chosen audience. Google Ads: Google Ads provides an online platform to make ads, where advertisers can make their ads and pay to display them. It can be used to create display ads, video ads, text ads etc on it. Website Development: This involves developing or creating a website or a webpage, with the help of coding and programming languages, like HTML, Php, Java etc. Facebook Ads/ LinkedIn Ads: Facebook and LinkedIn provide a platform to do online advertising, advertisers can pay and display their adverts and campaign on both the platforms. Video Marketing: video marketing is also called youtube marketing, it is helpful in increasing audience engagement because people usually watch videos more than reading blogs/posts. These are the best certificates one can obtain in digital marketing to become the top candidate for recruiters looking for talent in the digital marketing field. 1. Google AdWords Certificate: Google recognizes an individual as an efficient and expert in using Ad words. 2. Google Analytics Certification: Google recognizes an individual as an expert in using the google analytics tool with this certification. Google Analytics is a tool used by marketers to increase website traffic. 3. Hubspot Content Marketing Certification: Being a digital marketer one should know how to market content and how to implement a content marketing strategy. Hubspot certifies this skill. 4. Hubspot Inbound Marketing Certification: Inbound marketing simply involves drawing customer’s attention through content creation. And this skill is recognized by Hubspot. 5. Facebook Ad Certification: Here you learn how to create leads & campaigns on Facebook and how to promote a product or service. In order to gain all these certifications and improve your resume simultaneously; it is important to take an all-inclusive digital marketing course which gives you advance training is digital marketing. Digital Nest offers a variety to Digital Marketing certificate course, with flexible timings, both classroom and e-learning tutorials. Hi Poorvee. Thanks alot for this blog. The post is extremely useful for all those like me who are just getting started with their career in the field of digital marketing.Keep up the good work!